How long has it been since you’ve been to church? How many times have you told yourself that you need to be back in church? How many Sunday mornings come and go and you felt bad for not going to church? 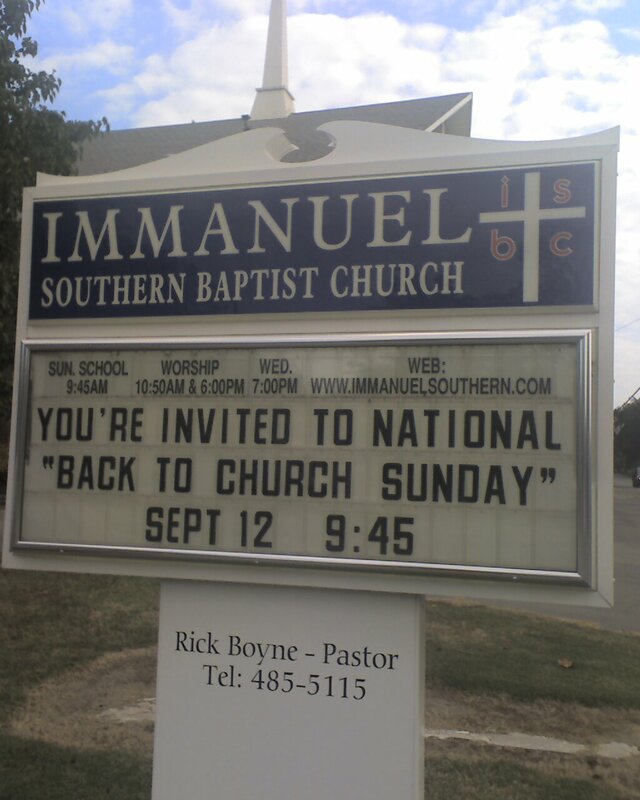 Sunday, September 12, is National “Back to Church Sunday”. Think of it like the amnesty day at the library where you can return your overdue book without a penalty. Come back to church and re-discover God! You’ll be glad you did! This entry was posted on August 31, 2010 at 11:24 am	and is filed under Outreach. Tagged: Back to Church Sunday. You can follow any responses to this entry through the RSS 2.0 feed. You can leave a response, or trackback from your own site.